Three years ago, we were treated to a character study that just so happened to pull double duty as a disaster film. It was awesome. The Wave was one of the best movies of 2015, bolstering Norway's position as a seasoned blockbuster contender against massive Hollywood juggernauts like San Andreas. Both released in months of each other. Despite its smaller budget, The Wave was easily the better of the two movies. 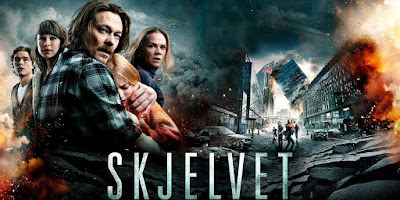 Using an excellent cast with absolutely amazing visual effects, it was a small hit and has now given birth to a sequel, simply titled The Quake (Skjelvet). 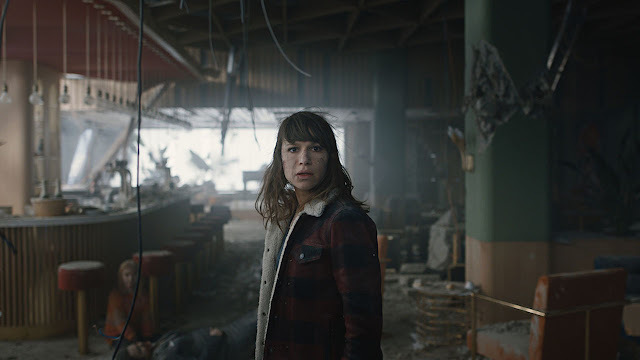 In this next entry, Kristoffer Joner's character, Kristian returns to battle nature's wrath as Oslo is treated to a massive earthquake that threatens her very existence. However, now he's dealing with PTSD from the events of the first movie and is more despondent than ever. Trying to reconnect with his family, we're undoubtedly shown how he's changed in the last few years. This time, he's sure that the city is about to fall due to a tectonic shift that will be a repeat from the 1904 event. Of course, he's right. Quickly discounted by the scientific community, things in the central city turn from peace to absolute destruction in just a matter of days. Kristian now finds himself a witness to Oslo's collapse as he must save his family from impending doom....again. Unfortunately for audiences, the entire story is a near copycat of the original and doesn't do much to separate the two. This is where The Quake fails. 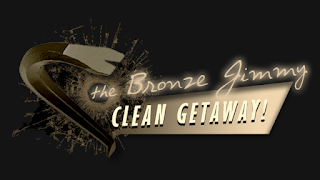 However, this one isn't so fearful of eliminating main characters. This is where The Quake wins. The body count hits much closer to home. Riding a fine line without becoming too Hollywood or too predictable, this is still a tension fueled ride that ups the ante in the visual department. The setting this time is much larger, which in turn means the chaos that ensues must be bigger with greater exterior shots. Repeating the cinematic style of The Wave, things here look just as stunning. The CGI work is flawless as buildings are decimated and structures crumble to tiny bits. Also, the bit of action that's here works perfectly. And using an 'every man' type actor for the lead role always means more realism as a whole. The Quake only received a small, limited release but is finally at home on blu-ray this week. And we're here to survive another disaster for human kind's sake. The setup here is quite the same as Kristian begins to notice signs of another impending disaster. Yet, unlike the last go round, his paranoia is hard edged while the slow burn of the story takes forever to build. If you can stick through the first couple acts which tread water, the final moments are totally worth the watch. Now we wait. I'm sure there will be a third. Nuclear Winter. Also, make sure to check out our podcast on disaster movies, here at Reel Crime.